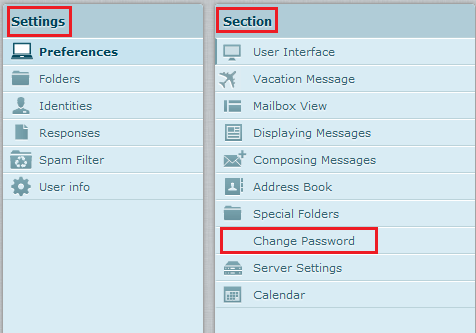 To change your password, please navigate to our Website and click on WEBMAIL (You may also reach Webmail directly by typing https://webmail2.bway.net/ on your browser’s Address bar). This should take you to our Webmail login screen. 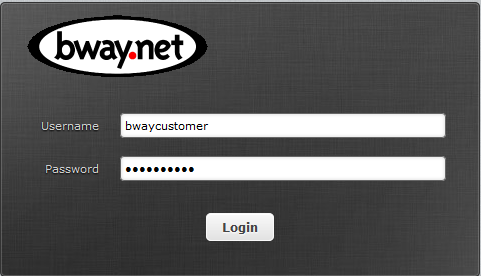 Type in your Username and Password and click Login. Once you have successfully logged in, you should see Settings on the top right corner of your screen. Please click on gear the icon to access your email Settings. Once inside Settings you should see the Section column on the right. Please click on Change Password. To change your password please type in your current password in Old Password, and type the new password* you want twice to confirm. Now click on Save. You should see a green message at the bottom of your screen confirming you have successfully changed your password. .Include lowercase and uppercase alphabetic characters, numbers and symbols. If you have forgotten your password, please call 212-982-9800 and ask us to reset your password. Please have 3 types of information regarding your account for account verification.